Ottawa Humane Society: What is a humane society's number one issue? There are so many issues that a humane society addresses for animals and the community it serves: animal abuse, neglect, homelessness, issues of animal health, of animal welfare — there are dozens, if not hundreds. Many or even most source back to human behaviour, and so we spend a lot of effort trying to get people to change their behaviour. I started to think, if we could get our community to change just one or two things, which would they be? For me, definitely they would be identifying and spaying or neutering their pet. Universal identification would mean that we could get every lost pet home. And spaying and neutering has dozens of benefits, for the pet, for the owner and for the community. So why is spaying and neutering on the list? The health benefits for the pet are enormous. Spaying prevents ovarian and uterine cancers and tumours and can prevent uterine infections that can be life threatening. Neutering in dogs prevents prostate problems causing infection and problems urinating as well as testicular cancers. Just recently at the OHS, Coco the Pomeranian was diagnosed here with a mammary tumour. Coco one very lucky dog. As an unspayed 10-year old, there was a 50/50 chance her tumour was cancer. When the diagnosis is cancer, the prognosis is usually poor. Thankfully, the OHS vet removed Coco’s tumour, spayed her, and she’ll soon be ready for her forever home. But had Coco been sterilized sooner — before her first heat — her tumour would likely never have existed. 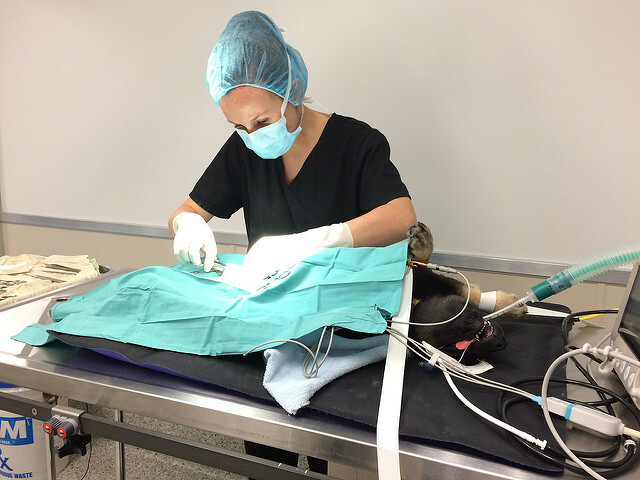 Tumours like hers are almost completely prevented by spaying, according to our chief veterinarian Dr. Shelley Hutchings. In fact, mammary masses in a dog spayed before her heat cycle has only a 0.5 per cent risk versus intact dogs, growing to a 26 per cent chance after a second heat. The behavioural benefits of sterilization are also tremendous. It drastically reduces the incidence of problems like urine marking, spraying, roaming and aggression in males, and eliminates the issues associated with the heat cycle in females. All of these issues, of course, too frequently result in surrendered pets to the OHS. 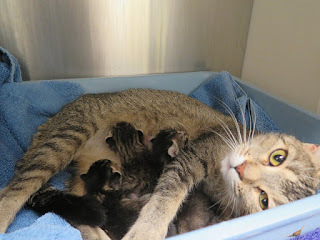 Spaying and neutering prevents pet overpopulation. More than anything though, spaying and neutering addresses pet overpopulation. While not a generalized problem with dogs, it is an enormous problem in cats. Too many cats will continue to live wretched lives as long as there are too many cats. They are undervalued, under cared for and expendable simply because there are so many. And only spaying and neutering can solve this. So, have your pet sterilized. She will be healthier. He will be better behaved. And they won't produce a new generation of cats to suffer.